Ever wonder how homeschoolers make it into college? If you’re teaching a high school student at this time, college is likely on your mind. But, how do homeschoolers do it? Can they apply for scholarships? Keep reading to find out how all of this is done! Whether you’re new to homeschooling or are a homeschooling veteran, when you hit the high school years, you probably got nervous – and rightfully so! Homeschooling high school students is a little different from homeschooling elementary or middle school students.That’s mostly because homeschooling high school students means playing the role of parent, teacher, principal (for transcripts), and guidance counselor (for decisions about what courses to take, as well as SAT and ACT prep). No wonder you’re nervous! That said, there are plenty of resources to help you! LetsHomeschoolHighSchool.com offers a wide variety of resources to get started. For transcripts, check out the free high school transcript template we’ve pulled together for you. If you’re only at the beginning of high school and haven’t quite done the courses you’ll be listing on your student high school transcript, turn to our free high school credit planner. With it, you’ll be able to write out all the courses your student needs to take from 9th-12th grade. While you’re putting together a transcript, you’ll come to a point where you’ll need to enter your student’s GPA. Confused? Don’t be! We’ve put together an easy-to-use GPA calculator where you’ll simply enter your student’s information! In some states, students are required to complete a certain number of community service hours in order to graduate or qualify for a state-funded scholarship. If your student is doing community service hours, feel free to use our printable community service log. Of course, we’d be remiss if we didn’t include one of the most important documents you’ll need: high school diploma templates. Homeschooling parents often wonder if they’ll be able to continue homeschooling through the high school years. In many cases, they wonder this because they’re concerned they won’t be able to graduate their child or that a child who graduates after being homeschooled won’t be accepted into college. The good news is that a child who is 100% homeschooled has just as much chance at being accepted into most colleges as a public school child! 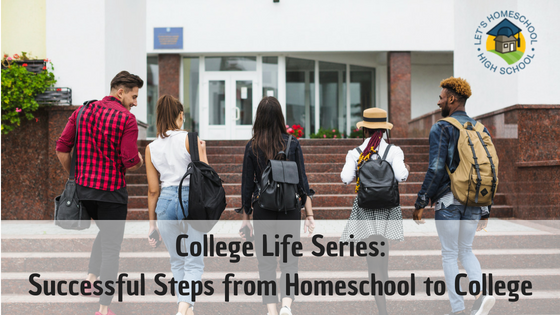 As long as your student has good records, it’s not hard to move from homeschool to college. Did you know that some colleges even recruit homeschooled students? The “homeschool to college admissions” process is made even easier in these cases! The best and most reliable way to find out if a particular college accepts homeschooled students is to call (or email) someone in the admissions department at the college. Simply tell the person that you’re homeschooling and that you’d just like to know what will be required from your student. You’ll likely hear back that your student needs to have a competitive SAT or ACT score, a high school transcript reflecting his academic journey, possibly an admissions essay, and an application for admissions. Can you homeschool college? If you’ve been homeschooling your student all these years, you may wonder if you can homeschool college. The answer is: it depends. It depends on what your student is after, really. If your student would just like to homeschool college credit and simply obtain the knowledge, then yes that can be done from home without enrolling in a traditional college as a degree-seeking student. Your student can take only the classes he or she is interested in and perhaps earn a certificate of some sort. If, however, your student would like the prestige and respect that comes with a college degree – as well as acceptance from future employers – then your student will need a traditional college degree. Now that you know your homeschooled student has a great chance at being accepted into college, you may wonder how you will pay for it all. Is there such a thing as homeschool college scholarships? Yes! While there are scholarships geared toward homeschoolers, your homeschooled student isn’t limited to only those scholarships. As always, be sure to read the fine print but for the most part, a student is a student and most scholarships we’ve seen are for students regardless of where they obtained their high school education. Here at LetsHomeschoolHighSchool.com we keep a current running record of quarterly scholarships for you! In addition, be sure to check out athletic scholarships that may be available for a sport your student plays. Increasingly, homeschoolers are catching the attention of the NCAA. Also, some states offer a merit-based state scholarship to all qualifying students. Many states strive to keep students in the state and they’re willing to pay a large sum in scholarship money to do so. Homeschooling for high school has one major milestone at the end: college. Homeschooled students have just as much of a chance at attending college as public and private school students. In addition, homeschoolers qualify for many college scholarships. Be sure to take advantage of anything your student qualifies for on his or her college journey!